RemZzzs padded full-face CPAP mask liners provide a soft layer between your face and CPAP mask cushion. The liner can help alleviate skin irritation, sweating, and leaks from masks. RemZzzs liners are made from a special blend of natural cotton fibers which help prevent leaks and irritation while absorbing facial oils and moisture. I’m interested. 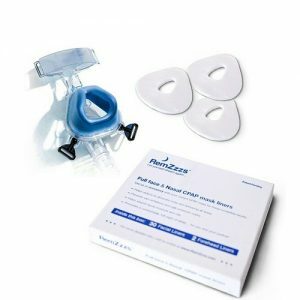 How do I purchase RemZzzs CPAP Liners? $29.99 for 30-pack with 2 forehead liners. Nasal and full face masks come in S, M, L.